Farm Insurance Hunt County Texas – Great Rates & Service! Are you looking for better rates, coverage, and service for your Hunt County Texas Farm Insurance needs? If so then call us right away at 888-505-7550 (toll free) or 903-378-7300 (direct). In addition to providing Farm Insurance in Hunt County Texas, Country Side Insurance also serves the communities of Fannin County, Grayson County, Denton County, Collin County, Lamar County, Delta County, and Hopkins County. The insurance company agrees to pay for the claim, but Jon is startled to learn they are only going to be sending a check for $205,000 for the loss. Jon calls up his agent and explains to him that he had his combine insured for $375,000, asking how it can be that he’s receiving a full $170,000 less than that for his damaged vehicle. The agent explains to Jon that his policy makes it clear that the insurance company is only obligated to pay on the value of the combine at the time of the loss. Because farm vehicles like tractors, combines, rakes, cotton strippers, grain buggies, and other types of equipment depreciate in value over time (just like cars do), Jon’s combine’s current market value was $205,000 at the time of the crash. What can we learn from this? 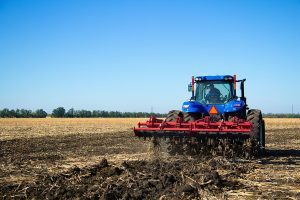 Tractors, combines, rakes, cotton strippers, grain buggies, and other types of equipment used on the farm will be paid on an actual cash value basis in the event of a loss, not on the original sticker price or what a brand new combine harvester would cost. So keep that in mind when you purchase and maintain insurance for your farm equipment. Farm Insurance Hunt County Texas – Contact Us Today! If you want better rates on your Hunt County Texas Farm Insurance then why wait? Contact us today.